Sony polishing v2.4 PS3 firmware for June 18? Sony will let loose version 2.4 of its PS3 firmware on June 18. At least, that's the date the latest excitable Internet rumours point to according to CVG. 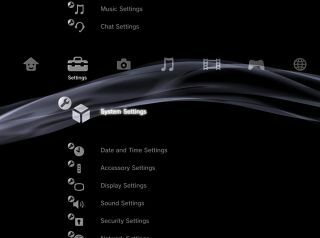 Unlike the last update, Version 2.4 of Sony's PlayStation firmware should bring with it some hefty improvements, specifically in-game access to the XMB (Cross Media Bar). The upgraded XMB will enable in-game voice and text communication, not to mention the sending and receiving of game invites. Version 2.4 will also purportedly include 'PS3 Trophies', Sony’s attempt to match Microsoft’s popular Xbox 360 'Achievements'. If version 2.4 does contain these improvements it has the potential to erode some of the advantages that Microsoft’s Xbox 360 has enjoyed up until now. The Xbox 360 already boasts in-game messaging and voice chat, in-game menu access and those gameplay-enhancing Achievement points. You'd expect Microsoft to hit back. But while Sony also has its MMO-like Home service in beta testing, Microsoft has announced that there will be no significant software upgrade to the Xbox 360 this spring. Since the launch of the 360, Microsoft has typically upgraded the console's dashboard twice a year. Instead Microsoft seems to concentrating on bolstering the infrastructure of Xbox Live, which has suffered from several service outages this year. "We have taken a different approach this spring," Xbox Live manager Marc Whitten told Next-Gen.biz. "[We've] spent a lot of our time and resources of building the proper infrastructure and scale for [Xbox Live] not just today but also into the future."